The jacket serves as the outer layer (shell) in a layering system. Dressing properly for outdoor activities means dressing in layers that will work to keep you dry, warm and protected under a variety of conditions. When you layer, you can take off or put on pieces as needed, allowing you to be prepared for fast changing winter weather conditions or tailor what you're wearing to your activity levels. Waterproof Breathable outer layers help keep the wearer protected from the wind and rain, while nonetheless allowing sweat to evaporate and escape. This is in contrast to traditional plastic raincoats, for example, which lack breathability and therefore promote a build up of humidity in the air inside the coat, preventing sweat from evaporating effectively. Hard Shell Jackets are most appropriate for outdoor activities where you need them maximum possible protection from the elements. Hard shells are great at blocking rain, snow, and wind. 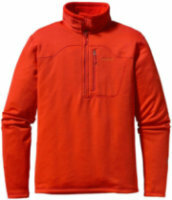 Hard shell jackets have dominated the market for years, but are rapidly losing market share to soft shell jackets. Hard shell jackets are made with water proof breathable laminates like Gore-Tex. They are called hard shells because they are stiff, crinkly, noisy, and the do not stretch. The problem with hard shells is that because they are stiff, they are not as comfortable as other options, and despite claims of breathability - they do not breath very well. This is why on most hard shell jackets you find "pit zips" and other means of releasing the moisture that they trap inside. 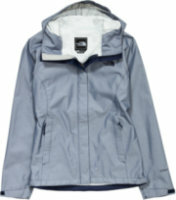 Soft Shell Jackets (also called Stretch Woven Jackets) are made from a stretch nylon, bonded to polyester. They're water-, wind-, and abrasion-resistant, and are designed to be highly breathable. They typically have a closer fit than a hard shell. 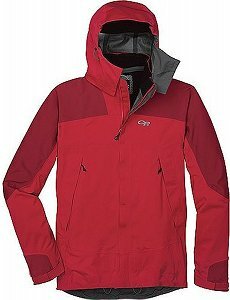 Most people that try a soft shell jacket like them better than hard shell jackets, unless they are in extremely wet conditions. Soft shells are superior for aerobic activities, like Nordic skiing, hiking, biking, spring skiing, snowshoeing, and for wearing around town. 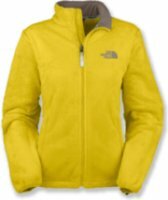 Soft shell jackets are typically 3 times more breathable than a hard shell jacket, and are more comfortable due the the stretch and flexibility of the fabric. They are not typically as water resistant, or quite as wind proof as a hard shell. Gore-Tex based fabric material is composed of a thin, porous fluoropolymer membrane with a urethane coating that is bonded to a fabric, usually nylon or polyester. The membrane has about 9 billion pores per square inch, each of which is approximately 20,000 times smaller than a water droplet, making it impenetrable to liquid water while still allowing the smaller sized water vapor to pass through. 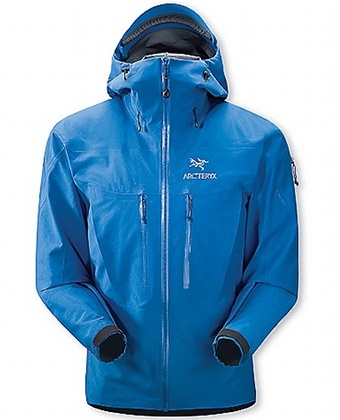 The result is a material that is breathable, waterproof, and also windproof. The outer fabric is treated with water repellent and seams are sealed to prevent water leakage through pinholes caused during the sewing of the fabric. The urethane coating provides a protective layer and also prevents contamination (i.e. body oils) from wetting the laminate and allowing wicking of moisture through the membrane. The urethane coating is the layer that limits breathability the most, preventing the convective flow of air (and thus, air containing moisture) through the membrane. Instead, breathability through a PU membrane relies upon solid state diffusion of water molecules, which is inherently slow relative to true vapor diffusion or convection. The primary difference between eVENT and Gore-Tex is that eVENT eliminates the polyurethane protective membrane on the inside face of the PTFE laminate. DWRs, durable water-repellent finishes, are often used in outerwear (like soft shell jackets) to enhance water-repellency without negatively affecting breathability. Durable Water Repellent (DWR) finishes are hydrophobic coatings applied to fabrics to make them water-resistant by causing water to bead up and roll off fabrics, rather than soaking into them. They are often used in conjunction with certain waterproof/breathable fabrics to prevent the outer layer of a laminated waterproof/breathable from becoming saturated with water. Maintaining the DWR is critical to maintaining the breathable nature of waterproof/breathable outerwear. Despite the name, durable water repellent finishes tend to wear off and may need to be re-applied from time to time. The application method will probably make a big difference in the DWR you choose to use. Most fabric treatments are applied by adding to a regular wash cycle in a washing machine. Selecting an insulated piece of outerwear versus a non-insulated shell will depend on two main factors: weather conditions, and what you plan to wear underneath if you are using a layering system. With a proper layering system you most likely do not need an insulated outer layer. 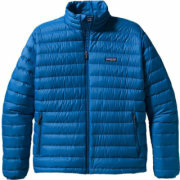 If you do decide you need an insulated jacket, you need to determine if Down or Synthetic insulation is best. Down is the best type of insulation for dry conditions. It provides the highest amount of warmth for the weight, and is more compressible and durable than synthetic insulation. The only downside is if it gets wet, it loses loft (and therefore its ability to keep you warm) and it takes longer than synthetic insulation to dry out. Down uses a powerfill rating. A higher number means that higher quality down is used. 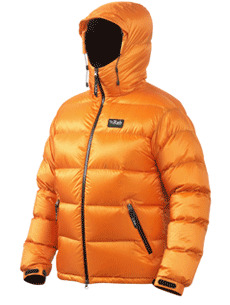 A jacket with 800 powerfill is a very high quality jacket. Synthetic insulation is more water-resistant and it dries faster than down. It will not provide as much warmth as down for the same amount of weight. Synthetic insulation is not as durable as down. This is of concern if you will frequently need to compress your jacket into a stuff sack, or into a backpack. Each time synthetic insulation is compressed it breaks the filament and you loose loft. There are numerous brands of synthetic insulation. Primaloft, Polarguard, Thermolite, and Climashield are the most common. The following features are things to consider when selecting a jacket. Radial sleeve - Radial sleeves eliminate the restrictions and tugging that occurs in the shoulders of a normal jacket or parka. More space is created in this area by using a different construction of the shoulder, armhole, and underarm panels allowing for easier movement. Venting systems - most venting systems are simply an underarm pit vent, or a diagonal vent across the chest that can also serve as a pocket. 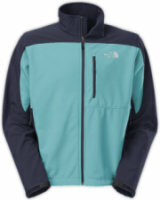 Vents are simply a zipper in the jacket that can be opened to provide ventilation if you get too hot. 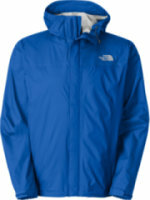 The latest soft shell jackets don't require venting systems because the jackets are very breathable. Welded seams - welded seams are rapidly becoming the preferred method for making a stronger, more weather-tolerant, and lighter product. Welded seams are stronger than the fabric that is being joined, and results in a jacket that weighs 10 to 20 percent less. Stand up collar - for winter conditions a tall stand up collar will help keep you warm, and keep snow and rain from entering the neck of the jacket. Zipper Garage - a zipper garage and fleece neck lining will help prevent chin chafe when the zipper is fully zipped up to the top of the jacket. Cuffs - adjustable cuffs at the end of the sleeves are used to keep snow from entering your gloves and jacket. Powder skirt - an adjustable piece of fabric around the waist used to prevent snow from entering the waist of the jacket.